“You are the new generation that’s going to change the way of doing things”, these are the words echoed by Brand South Africa’s General Manager of Marketing, Ms Sithembile Ntombela to the learners of Dr WF Nkomo Secondary School in Atteridgeville, during a Play Your Part school activation on Wednesday 16th May 2018. 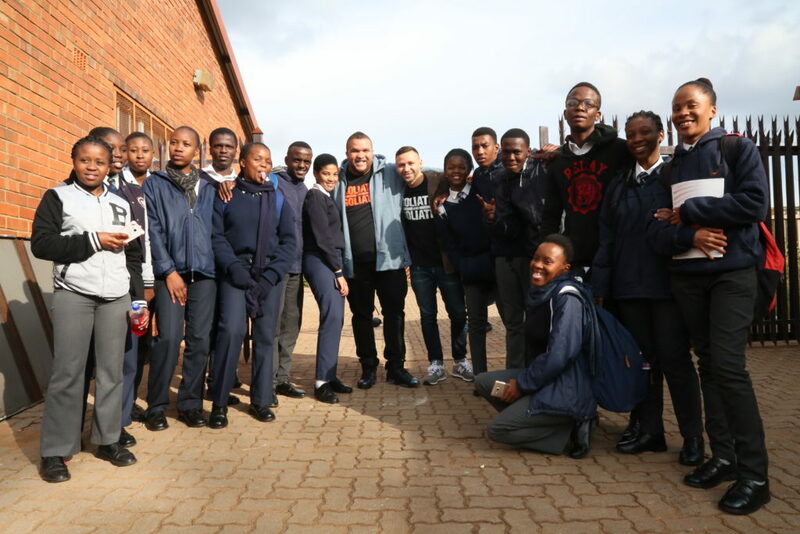 Brand South Africa through the Play Your Part programme continues to engage with the youth, specifically high school learners in a nationwide campaign. “This nationwide Play Your Part campaign is aimed at learners to ensure they are continuously introduced and made aware to be active citizenship from a young age, in order to grow communities of leaders, growing our youth that will carry the legacy and vision of South Africa in the future”; adds Ms Ntombela. The campaign kicked off in collaboration with famous comedians Goliath and Goliath, who are also Play Your Part ambassadors. They coached, entertained and educated through comedy by giving a masterclass to the grade 11 and 12 learners on realising your dreams. Book Ibhoni founder and a Play Your Part ambassador, Mpumi Mtintso spoke on the promotion of innovation and entrepreneurship under the theme “Play Your Part, turn your ideas into currency”. He expressed that every path that the young people take on for their future, career and passion needs to speak to the county’s vision articulated in the National Development Plan(NDP). “Make sure you solve issues of poverty, inequality and the high rate of unemployment”, emphasized Mtintso.